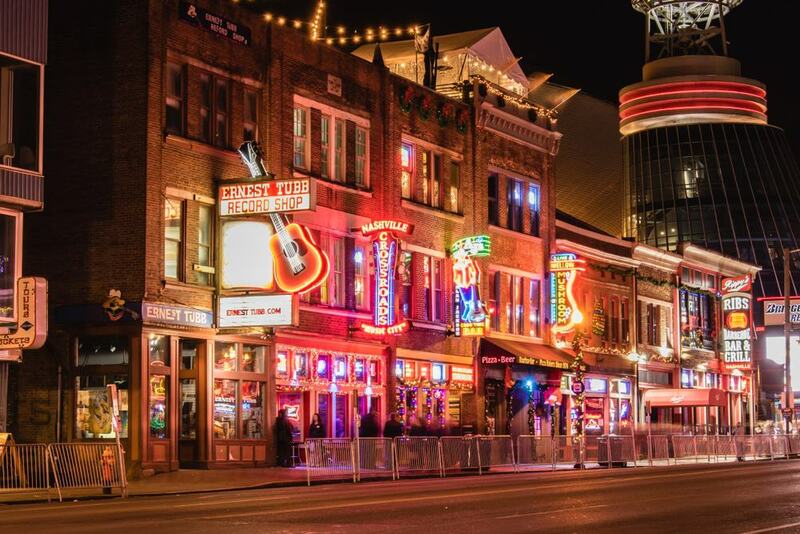 When you’re in search of a foot-stomping good time, there’s only one place to go, and that’s Downtown Nashville. While Nashville is Music City and the undisputed home of country music, Downtown is where the action is happening night and day. In Downtown Nashville, you’ll find more musicians aspiring to fame and fortune per square mile than in any other suburb of the United States plus quite a few performers who have already made it. There are museums dedicated to music, live music venues, concert halls and streets lined with bars all with, yes, you guessed it – live music.That’s what makes it such a fantastic place to be. Downtown is the liveliest entertainment quarter you’ll find, not just in Nashville, but in the whole of Tennessee. But there’s more to Downtown Nashville than the twanging of guitar strings, so don’t miss out on any of these fifteen amazing things to do while you’re there. You might even spot an odd musical spook or two if you’re lucky. There’s a lot to see in Downtown Nashville and if you don’t feel like walking the streets in case your new cowboy boots give you blisters, take a Segway Tour. After a thirty-minute tuition session, put your helmet on, mount up, and you’re ready to ride. The five-mile-long trip takes you around Downtown Nashville and past all the main sights and attractions. You’ll see the iconic Tennessee State Capitol building, the Country Music Hall of Fame and the Farmer’s Market to name just a few. 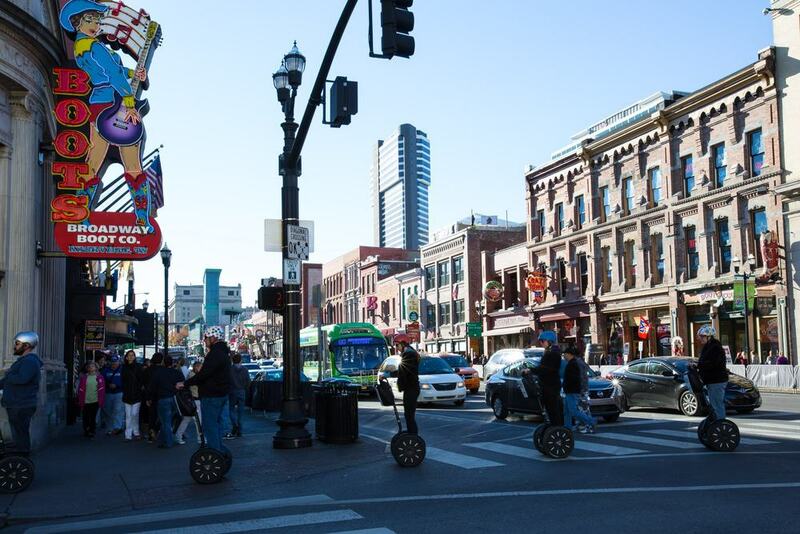 A Segway Tour is a great way of getting to know Downtown Nashville and finding out where everything is without doing any legwork. 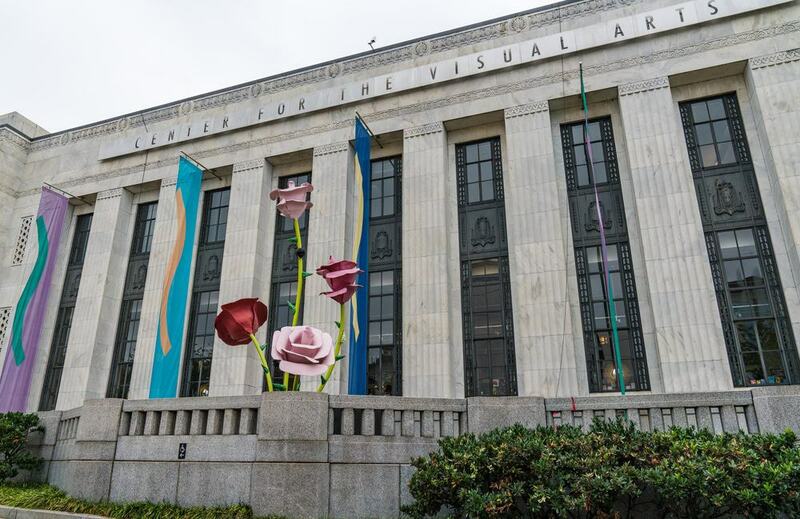 Music may be Downtown Nashville’s first love, but at the Frist Art Museum, it’s contemporary visual arts which take pride of place. The museum is in the city’s old main post office which is an historic, art deco-style building of gleaming white marble which dates back to the 1930’s. The museum doesn’t house permanent collections and the exhibitions change every four to six weeks. The twenty-four thousand feet of gallery space have to date displayed everything from photographic impressions of the Civil Rights movement to black, and white images depicting Afro American Life in Louisiana as well as holding Paris themed entertainment evenings. If you visit the Frist Art Museum expect diversity – it doesn’t disappoint. 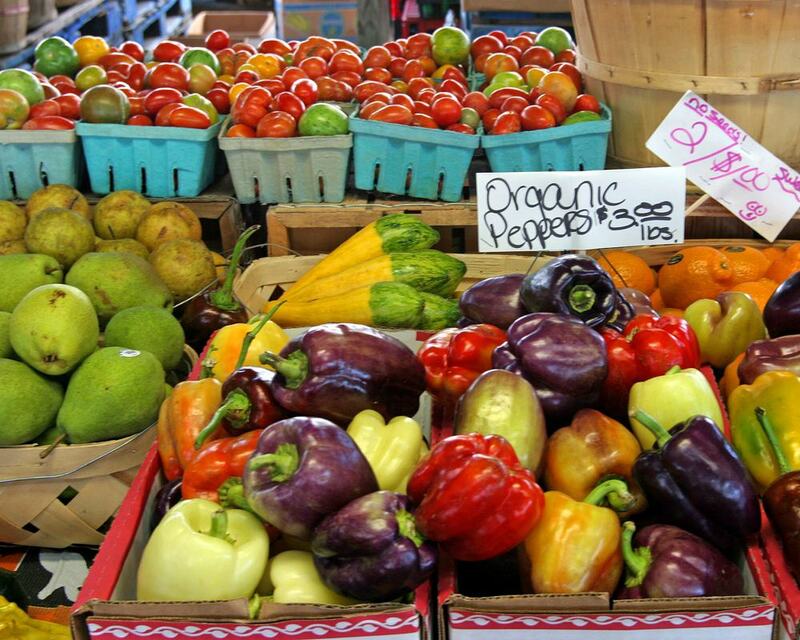 At the open-air Farmers Market on Rosa L Parks Boulevard in DT Nashville, you’ll not only find fresh local produce but meet the farmers who grow it. Browse around the one hundred and fifty plus different stands, and you’ll be amazed by the huge variety of foodstuffs. There’s everything from vegetables to bread, artisan cheeses, handicrafts and much, much, more. Top quality ingredients make great tasting food. The Farmer’s Market has a restaurant section, the Market House, where you’ll find twenty restaurants serving an incredible array of international dishes. There are daily pop-ups, an innovative Grow Local Kitchen where budding food entrepreneurs present their products and, if you want to get hands-on, culinary workshops and classes with top chefs. The 3rd Friday of every month there’s a Night Market complete with live music and DJ’s. There are so many drinking holes in DT Nashville you won’t know which to choose. Walk down the infamous Honky Tonk Highway, Lower Broadway or 2nd Avenue, and you’ll find there are over forty bars in a couple of blocks – all with live bands every night. Go on a hosted bar tour, and you’ll soon discover the best of them along with hearing anecdotes about Downtown’s history. The pub crawls generally last for around two and a half hours during which you’ll visit four or five bars with special drinks at each watering hole to keep you in the party mood. The are no cover charges in any of Downtown’s bars. If the music gets your feet tapping, don’t forget to throw a few dollars in the group’s tip bucket. It’ll be appreciated. 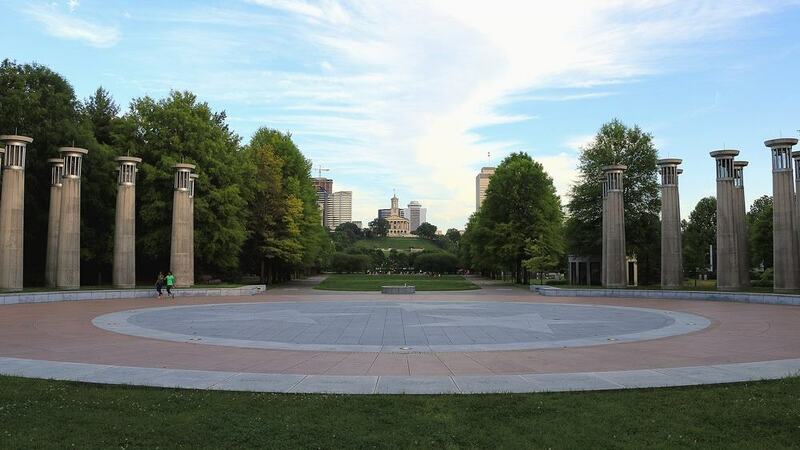 The Bicentennial Capitol State Park is a sprawling nineteen acres of green in the middle of Downtown Nashville. It’s a great place for a stroll and is full of impressive monuments. There’s a two-thousand seat amphitheater for outdoor events, a plaza with maps of Tennessee depicting details and history of the state plus thirty-one fountains representing Tennessee waterways. There’s no escaping music while you’re in the park. There are fifty towers containing ninety-five carillon bells around the Court of Three Stars. They play a short, tinkling version of the Tennessee waltz every fifteen minutes and a full rendition on the hour. You can set your watch by it. 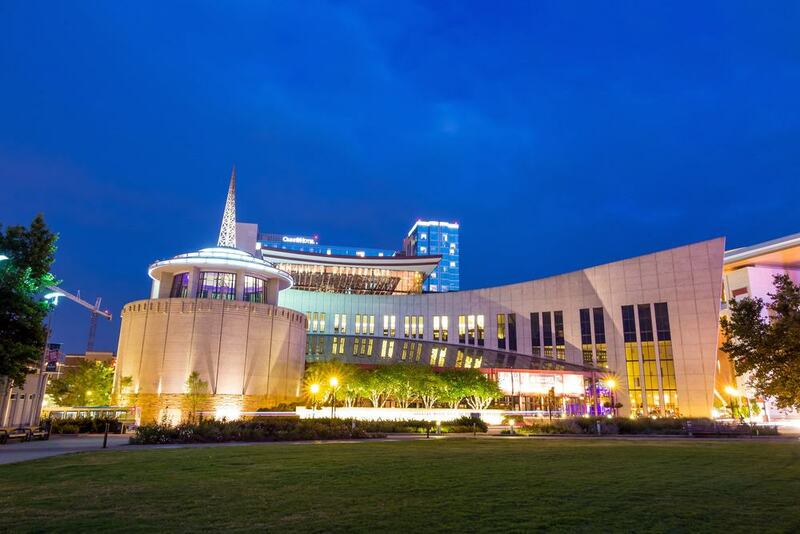 If something’s got anything to do with country music, you’re likely to find an example of it at the Country Music Hall of Fame & Museum. The buildings entire three hundred and fifty thousand square feet of space are dedicated to country music. Unusual artifacts, cars of the stars, costumes, and a permanent exhibition outlining the history of country from its roots to the present day are on display. There are rare vocal recordings, films to watch and listen to, photos and interactive media which educate visitors on the genre. The museum also hosts live events featuring popular artists as well as live streaming interviews and workshops. It takes serious nourishment to keep up your energy levels when you’re hitting the hoedowns every night. Follow the Tennessee tradition and grab a sustaining barbecue. 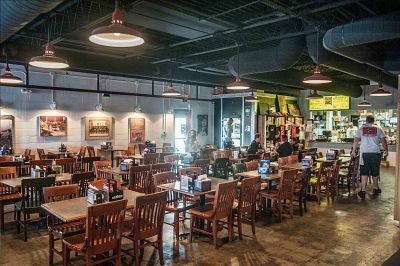 The Peg Leg Porker BBQ restaurant, which is in the Gulch area of Downtown Nashville, has starred in more TV shows than your average actor and won more awards than they can fit on a wall. 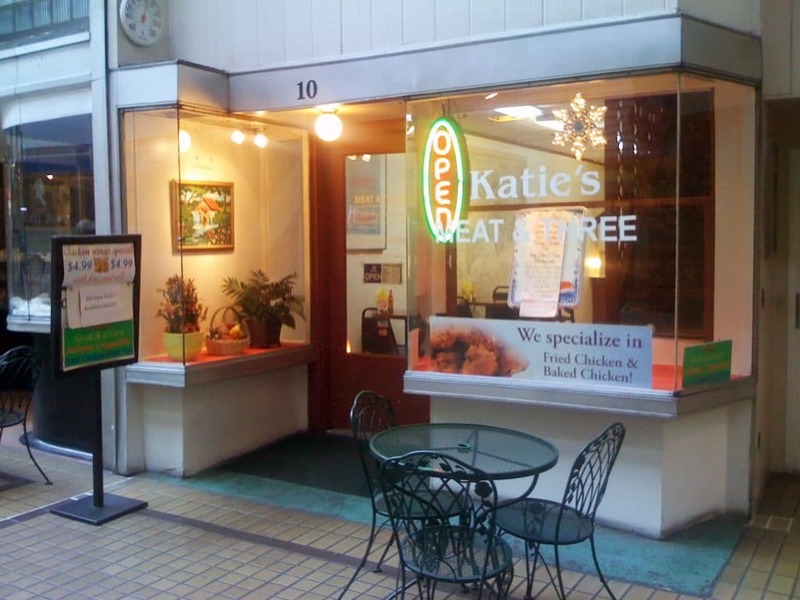 The restaurant has homely décor inside and an outside patio where the grilling action takes place. Get a full rack of ribs, wet or dry Memphis-style, or nachos with pulled pork. Add some coleslaw or smoked barbecue beans, and you’ll be ready for another night of DT Nashville action. Believe it, the food at Peg Leg Porker – is smoking! Every city has its spooks. 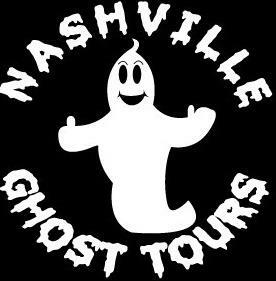 Find out who’s who in the spirit world of Downtown Nashville on a ghost tour. Meet up with a costumed guide in Downtown, and they’ll walk you round the Ryman Auditorium, a century-old building which is allegedly cursed as well as being haunted by the spirits of ex-employees and the singer, Hank Williams Snr. Go on to investigate Printer’s Alley where regular sightings of the ghost of a colorful neighborhood character who was murdered is frequently reported to be seen with his dog. Whether you believe in ghosts or you don’t, the tours are fun and you’ll find out interesting facts about Downtown. You can combine a ghost tour with a pub crawl and make the circuit of the district’s haunted pubs and taverns while having a beverage or two. If none of those raise goosebumps, try taking a spine-tingling ghost tour around Downtown in a hearse. That’ll make your hair stand on end. 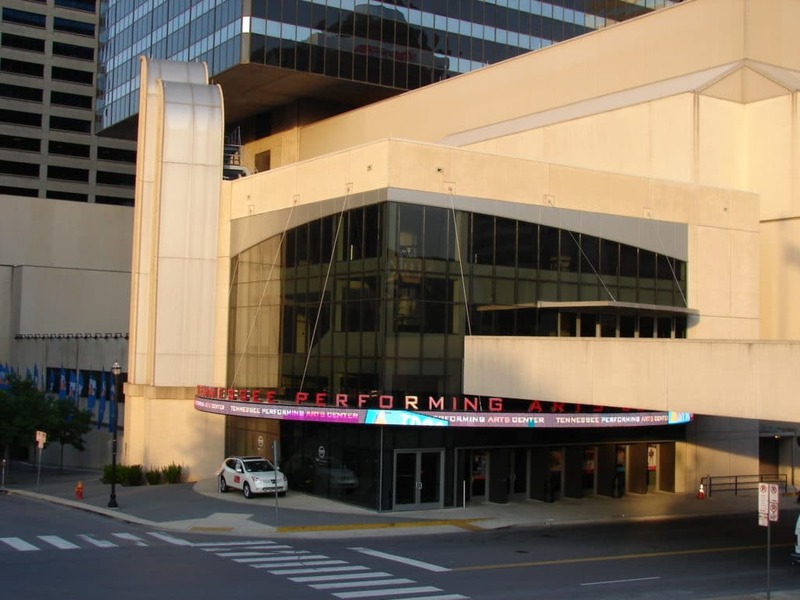 Take in a concert, ballet performance or Broadway show at the Tennessee Performing Arts Center. The cultural and entertainments complex has three theaters, named after ex-US presidents from the state, and an auditorium. War Memorial Auditorium is a historical, column-fronted building externally. Internally, the two-thousand seat venue is loaded with modern technology and is used for everything from rock concerts to weddings. James K Polk Theater has a seating capacity of over one thousand, a huge stage and an orchestra pit. The theater stages multiple productions of comedy shows, drama, and opera. Andrew Jackson Hall is a multi-use venue with seating for almost two and a half thousand spectators. There are regular performances of hits from Broadway, the recording of TV shows and major music concerts. The Andrew Johnson Theater has an open-floor space, rather than a stage, which is surrounded by tiered seating. It’s mostly hosts gatherings, of less than two-hundred guests, for intimate, unplugged concerts or lectures. 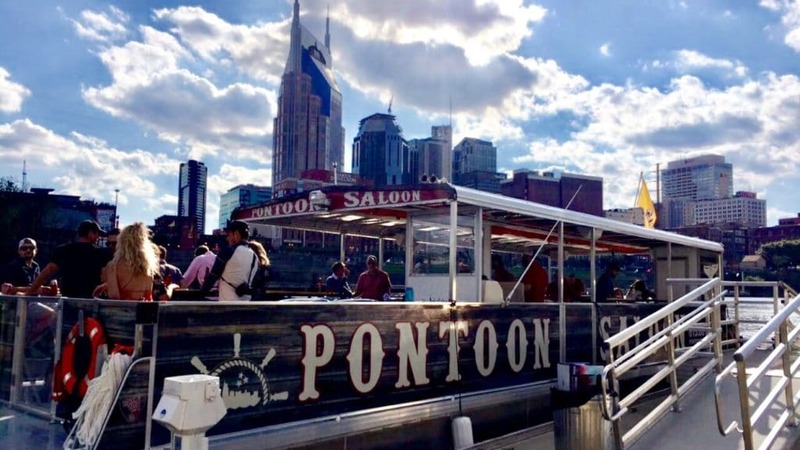 Step aboard a floating saloon to navigate the Cumberland River and view DT Nashville from the water. The fifty-foot long barge has a public sailing which lasts for two hours, or if you’re with a group of friends, you can charter the boat for yourselves. The sailings, which depart from the East Bank Docks on Victory Avenue, are BYOB which means bring your own booze – and food too if you want it. There’s party music and an open area on the bow where you can dance or just watch the city float by. If you’re thinking of doing a Sunday sailing, buy your booze in advance as there’s no alcohol sold on Sundays in Tennessee. If you’re not in the party mood, there are morning sightseeing tours you can do instead. Johnny Cash, the original man in black, is one of the greatest country stars and singer-songwriters in the history of American music, a published author and film actor. 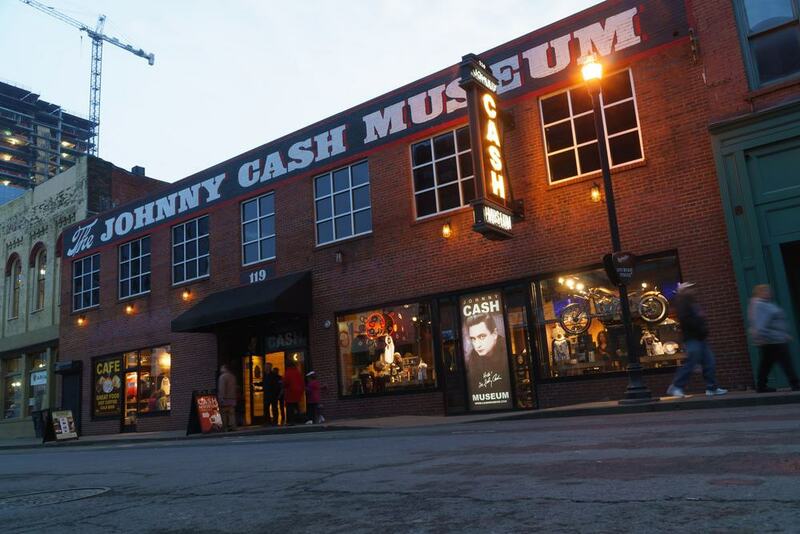 The Johnny Cash Museum in DT Nashville exhibits more memorabilia of the man than any other museum worldwide, including the Grammy Museum in Downtown LA. The star, who sold over ninety-million records, was a passionate activist for prison reform and Native Americans. Don’t miss out on drinking a coffee in the museum cafe while listening to some of his awesome songs. 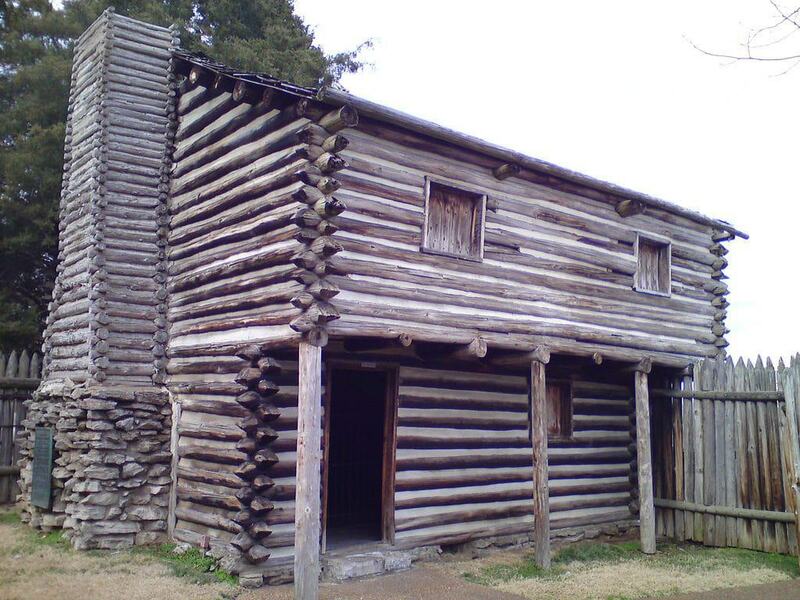 Get a feel for what it might have been like to be one of the pioneers who founded Nashville by visiting Fort Nashborough. The timber fort, which is in the Riverfront Park in Downtown Nashville, is a reconstructed replica of the one which the first settlers built to protect themselves from Indian attack. The building is a smaller version of the original, which contained twenty cottages, but it still gives you a good insight into the hardships the settlers went through to survive the harsh conditions of that era. Having meat and three is a must in Downtown Nashville. Meat and three is a Tennessee tradition born in Nashville. This is a good and wholesome plate of food served in restaurants which specialize in meat and three. Choose your meat; choices vary daily then load the plate with three side dishes. You’ll get cornbread on the side too. Some meat and threes serve the food others are buffet-style, just don’t expect upmarket formal dining. They have a comfortable, home from home country-kitchen feel to them. Arnold’s, Puckett’s, or Katie’s are all popular meat and three diners in Downtown Nashville well worth dropping in at. Shopping for souvenirs doesn’t have to cost a lot and won’t if you pop into Simply The Best $10 Boutique. The vintage fronted store is on 2nd Avenue in DT Nashville. 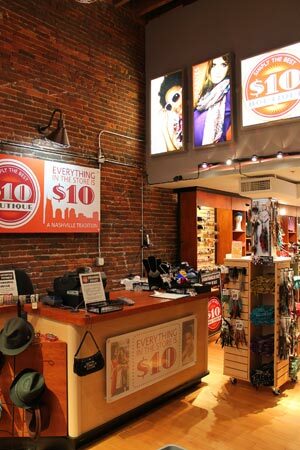 Whether you want a Nashville t-shirt, some cool dude sunglasses, baseball cap or accessories, the $10 stocks it. You’ll know how much your bill will be before you reach the counter too. It’s easy to calculate how much you’ve spent as everything is tagged with the same price ticket – $10 – no more, no less. From an aerial view, the Ascend Amphitheater looks like an alien spaceship which has descended from outer space and landed in Downtown Nashville’s Riverfront Park. In reality, it’s a mega six thousand eight hundred seater event arena which hosts some of Nashville biggest and best outdoor concerts. The amphitheater has tiered seating as well as lawns where you can sprawl on the grass while legendary artists perform on the world-class stage. 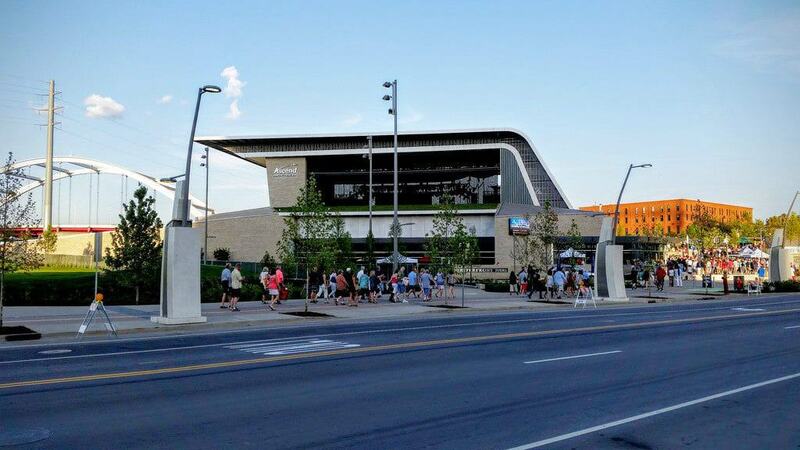 The Ascend Amphitheater is the place to catch an outdoor summer concert or music festival. It’s amazing, but then it would be – it’s in Downtown Nashville.